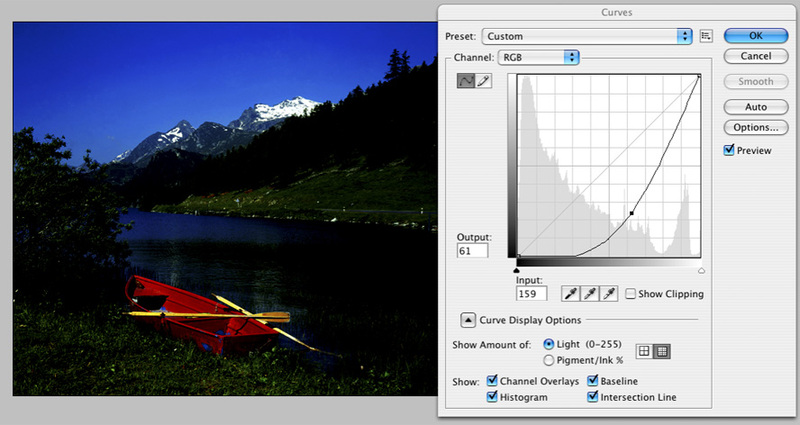 File preparation tips and advice with the curves adjustment layer and the selective colour tool in Adobe Photoshop. 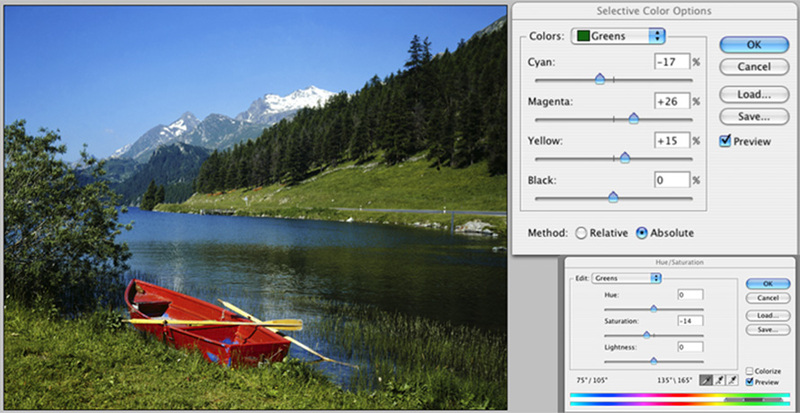 Tutorial to help you colour correct your images within Photoshop to enhance your artwork. Learn how to professionally adjust your work. Colour correction can have a major impact on the final look of any image. It's quite a skill to master, and learning how to assess an image is key. Once you've opened an image you need to assess the tone of the file and understand more clearly the limits of your file e.g how much contrast the file can take, how light you can push the image before splits. Step one of image assessment: open your image. Using a curves adjustment layer, lighten and darken the image, see how much the file can take before its starts to go too thin in the highlights and detail is lost in the shadows. For example if you have a very dark or light image where Shadow or Highlight detail is very thin, adding contrast will quickly accelerate that loss of detail. However if there are such areas within your image than these areas could be masked off before contrast is applied. Next with another adjustment layer, split the curve which adds contrast, push the file and see how much it will take before it's starts to split and band. By doing this, you should start to feel and understand the tolerances of the file. It's a good idea to keep these curves so you can refer back to them once you've started working on the image, just to remind you of the full range of the image. Once you have a feeling for the type of image file you have, it's now time for the creative bit. Try using Curves, have a play and make full use of the control you have over shadow to highlight tone in all the channels, and then using Selective Colour and Hue/Saturation to enhance the effect. For example, selective colour has been used here to achieve a more natural green in the grass by adding mainly magenta and yellow to the green and a hue and saturation adjustment layer has been added to reduce the intensity of the green in the foreground and middle distance. 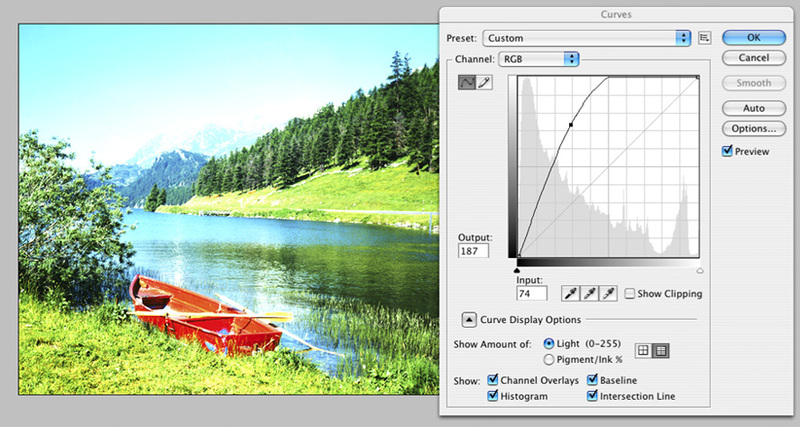 Adding solid colour adjustment layers and changing the blending modes can also create some interesting effects. Here an orange solid colour adjustment layer has been added, combined with the blending mode set to overlay and the opacity of the layer reduced to around 40%. This produces an overall warmth to the subject as if it was taken with a warning filter over the lens. The most important thing is have fun, don't push your file past the tolerances you discovered through assessment and enjoy experimenting. Want to learn how to professionally adjust your work with one of our advisers? Call us today and one of our team members can help you out. Book up a session today!